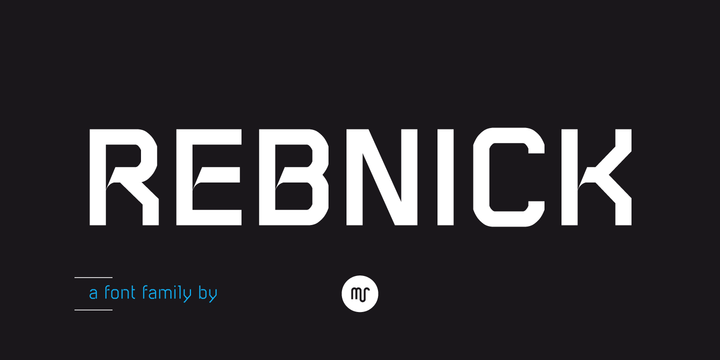 Rebnick is a contemporary sans serif typeface created by Michael Reichen and published by Mr. which is available 4 styles and language support. It is suitable for any kind of project. Using small text sizes, can create a well-balanced ratio between the black and white spaces. Have fun! Price: starting from $29,00 for one font to $79,00 for all 4 fonts. A font description published on Thursday, September 28th, 2017 in Fonts, Michael Reighen, Mr by Alexandra that has 1,742 views.